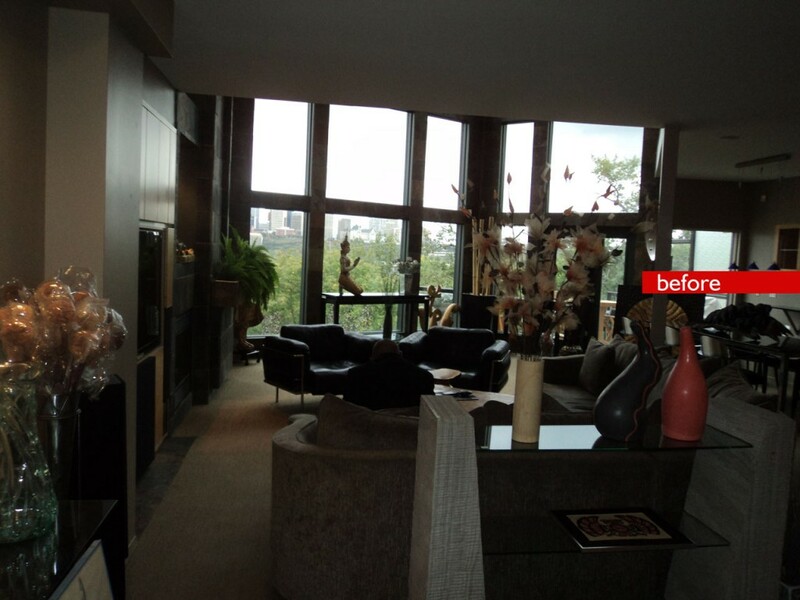 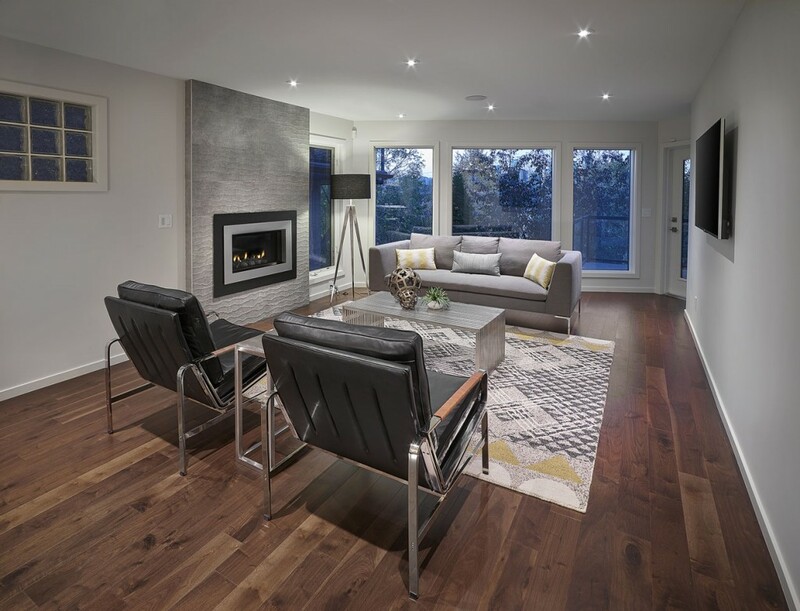 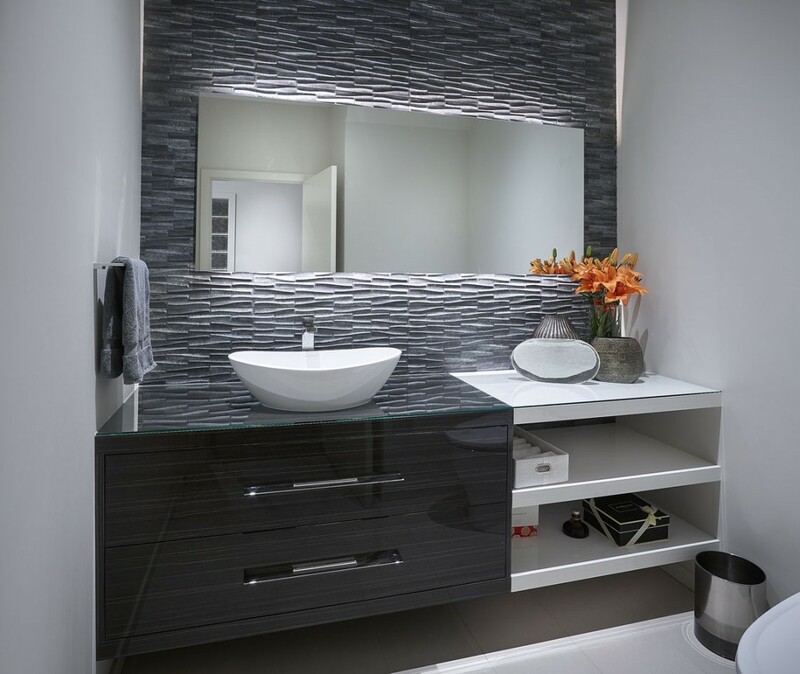 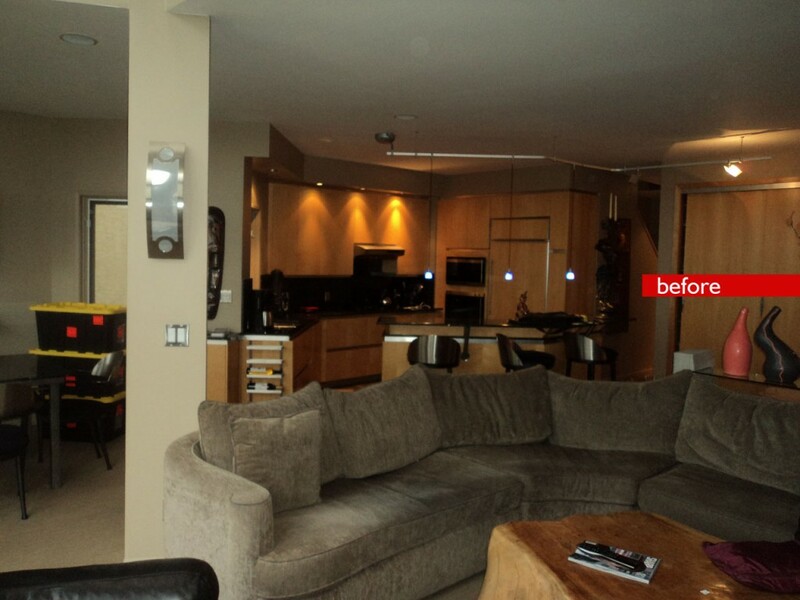 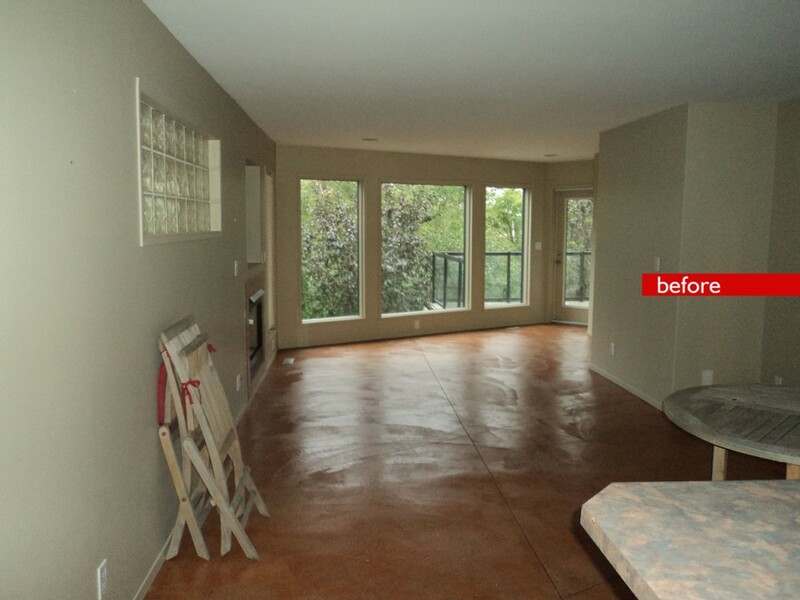 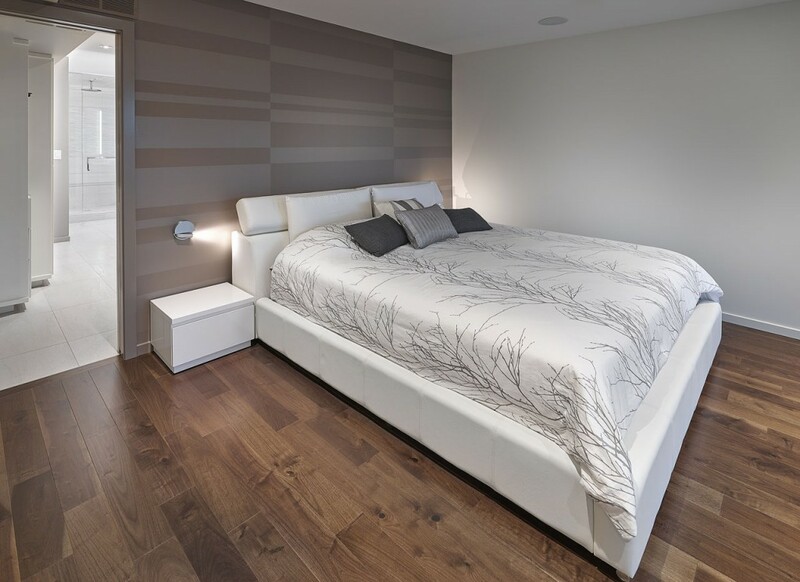 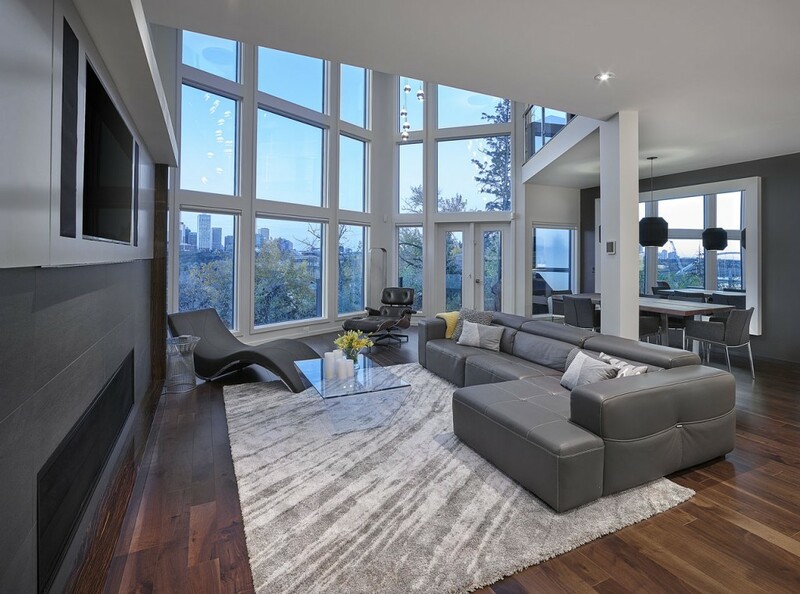 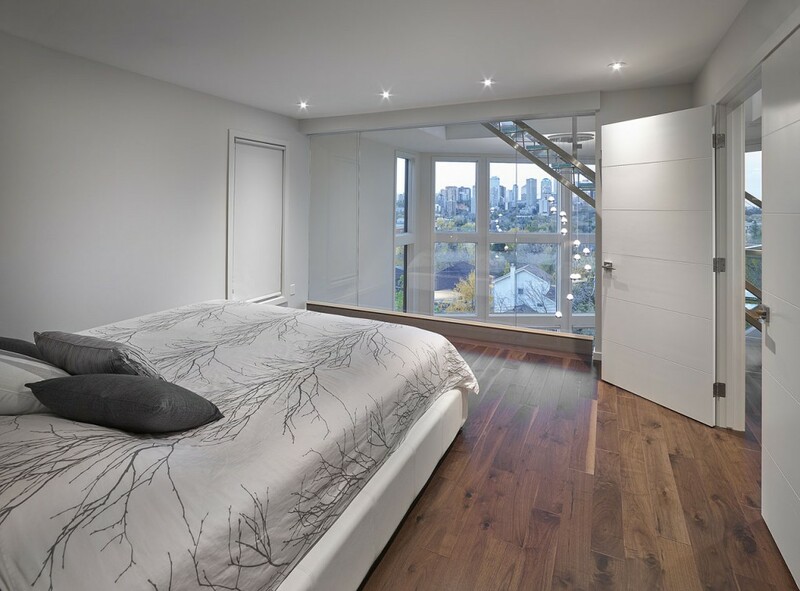 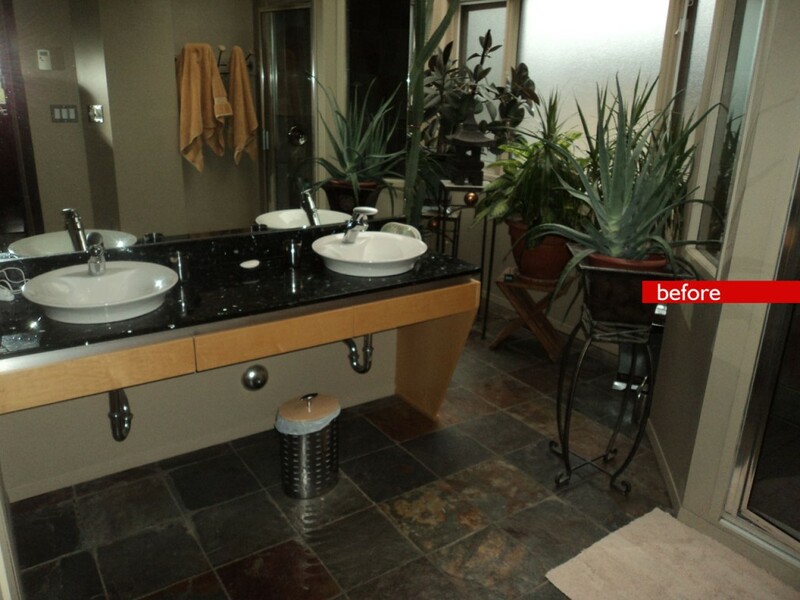 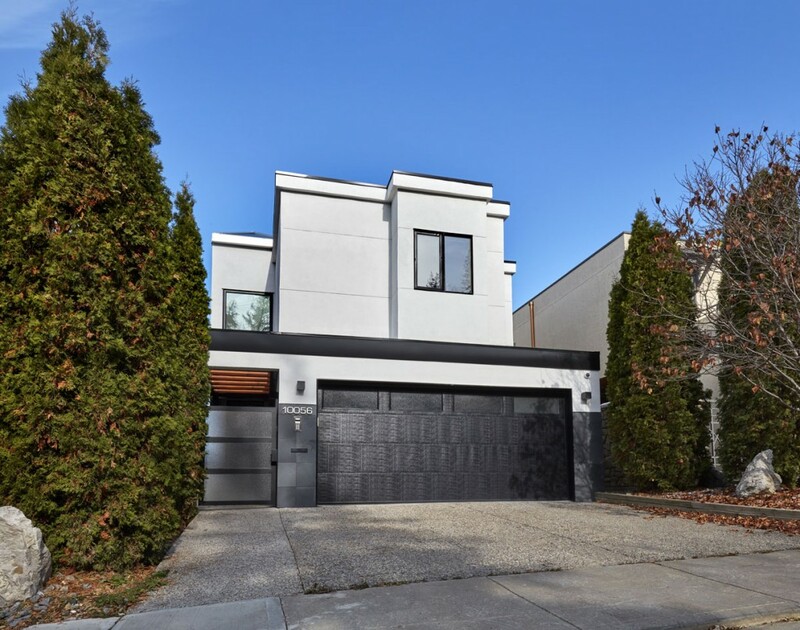 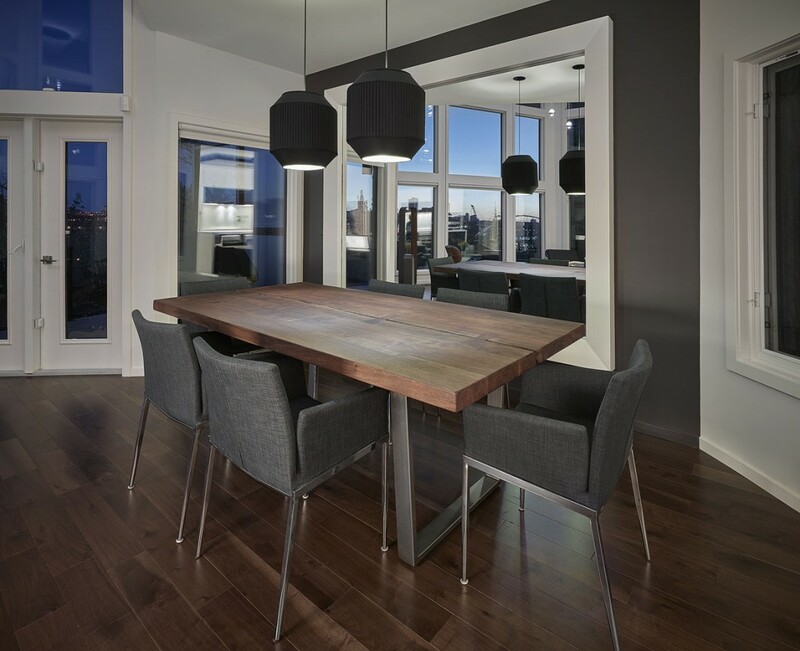 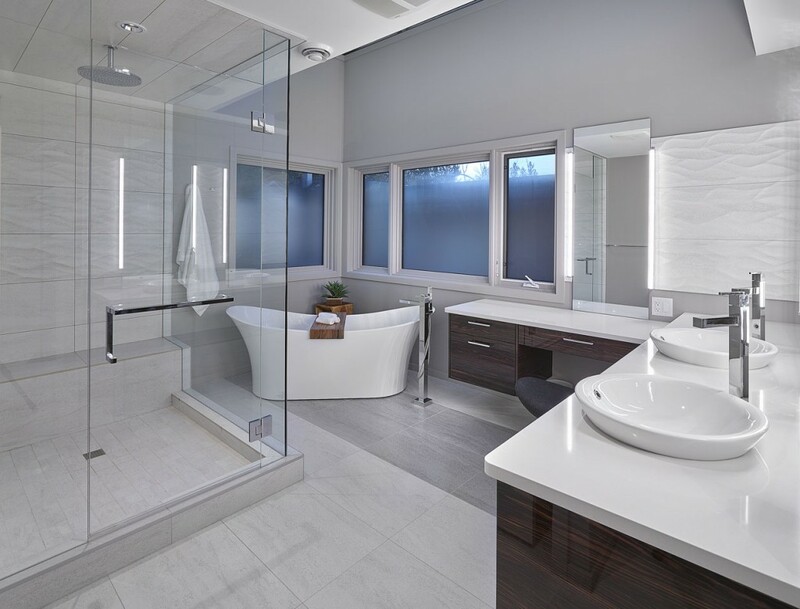 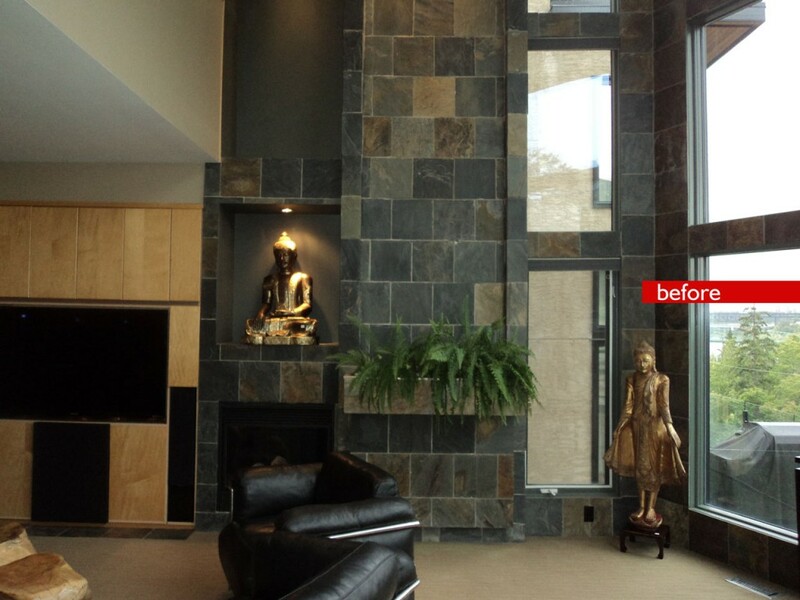 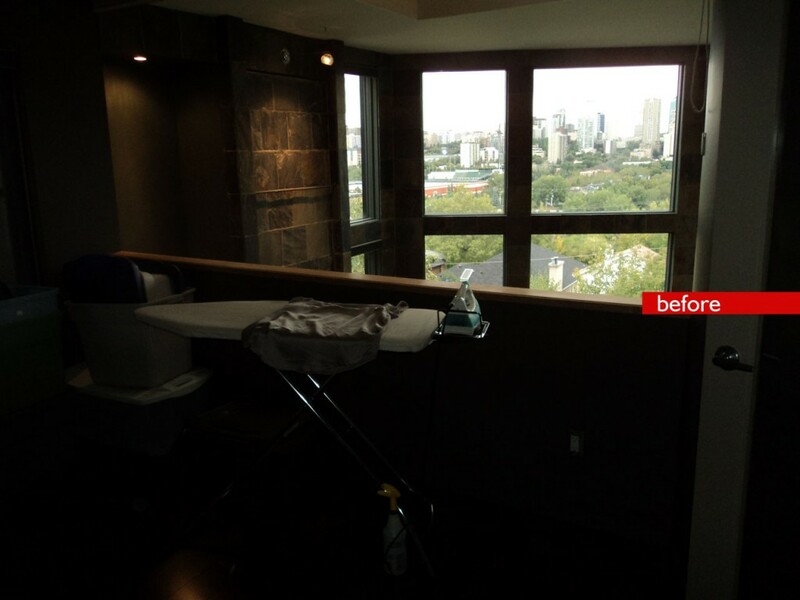 This large scale renovation was centered around one main goal, focus on the amazing river valley and downtown views and fill the new spaces with bright, natural light. 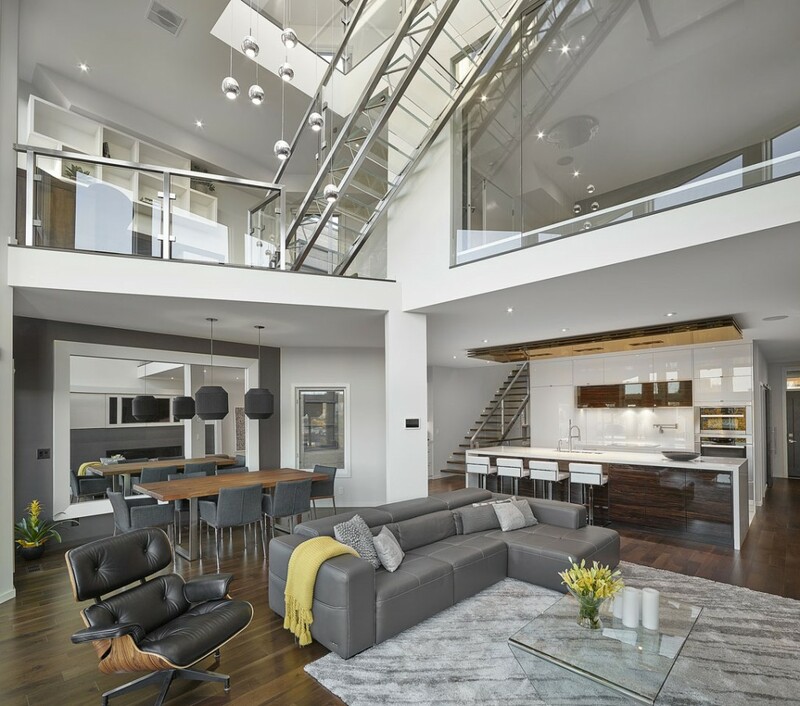 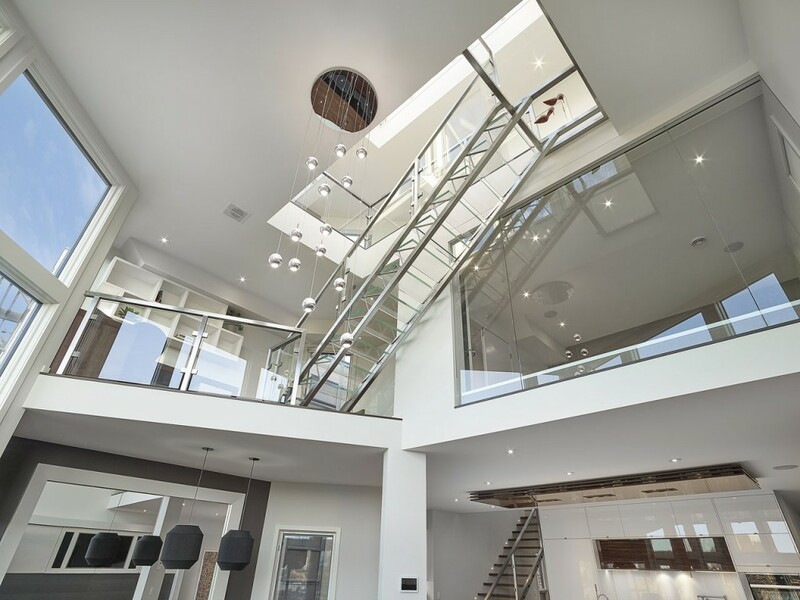 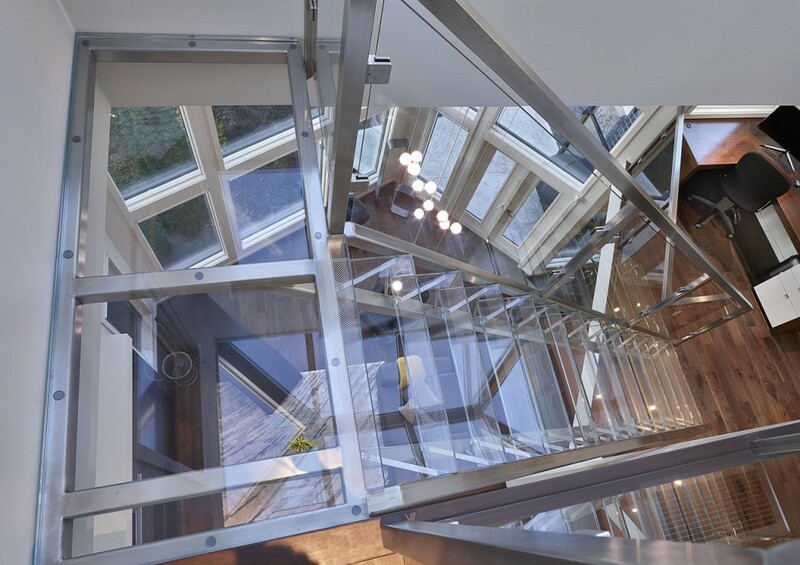 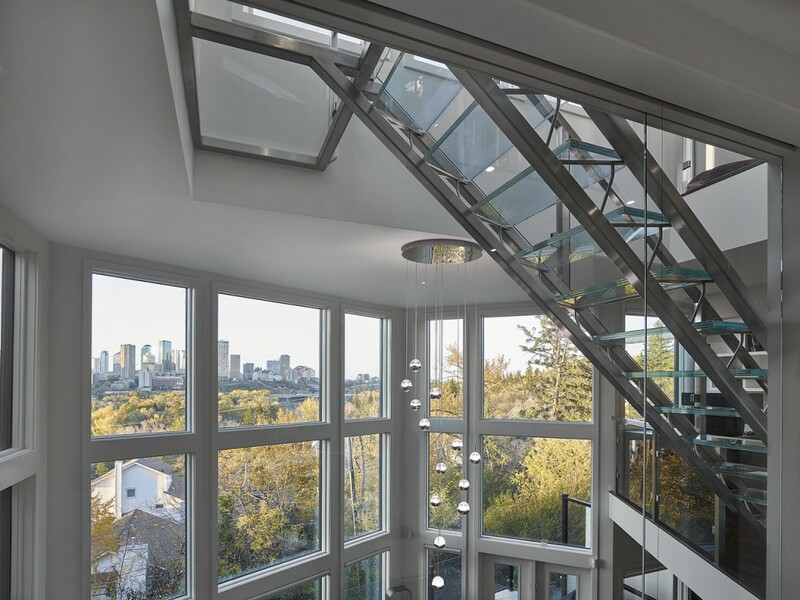 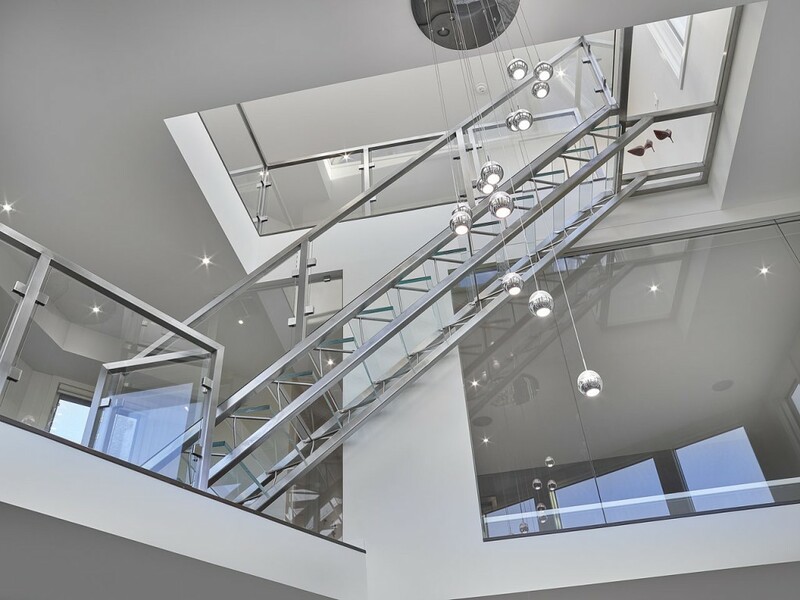 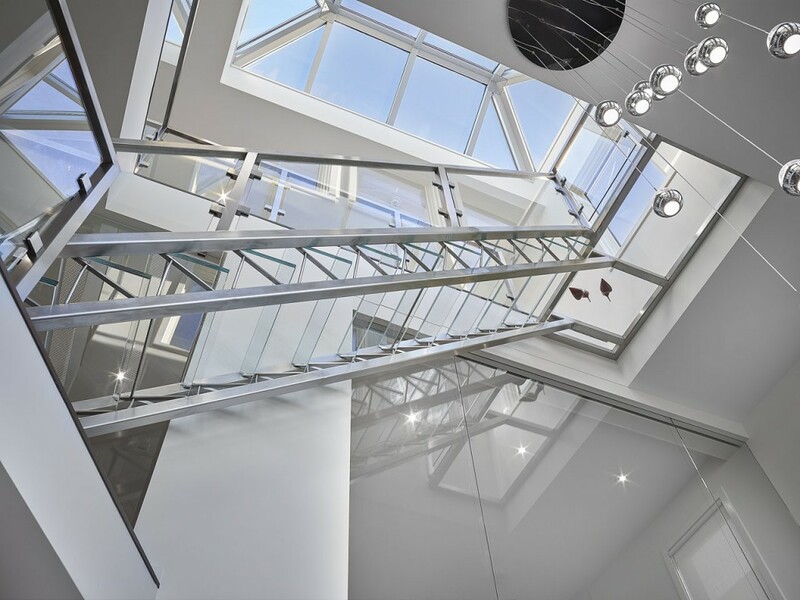 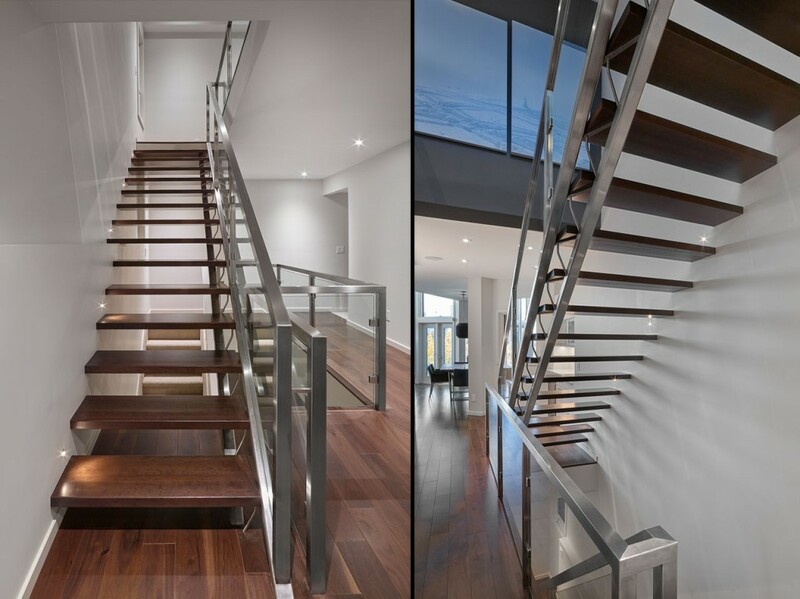 Perhaps the most dramatic feature of this newly renovated space is the glass staircase that is suspended over the great room which provides access to their rooftop outdoor living area, however the use of glass and light materials throughout was consistent to ensure that the natural light entering the home would be reflected throughout the spaces. 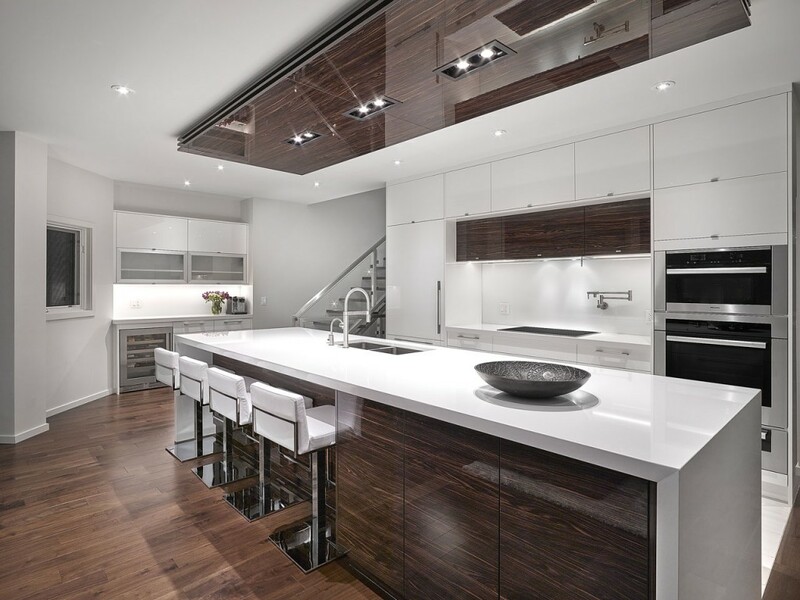 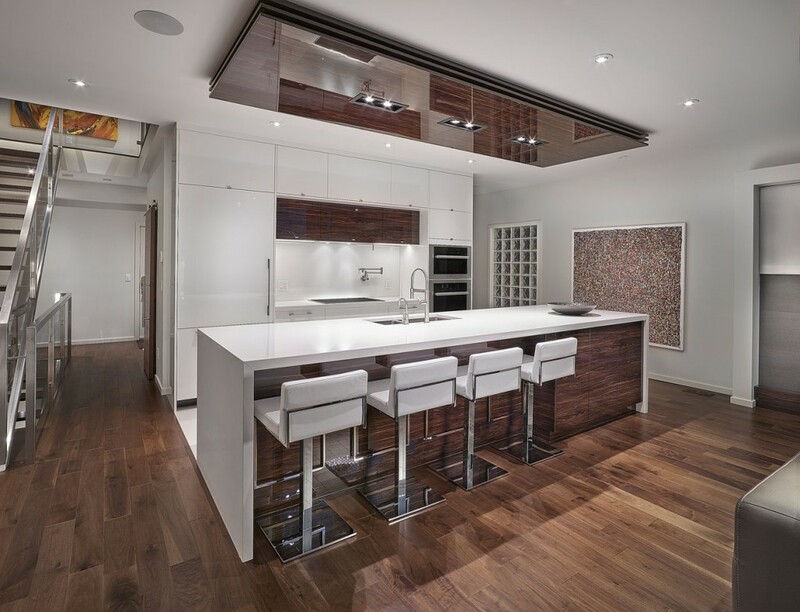 The new layout also accommodated more areas conducive to entertaining large groups. 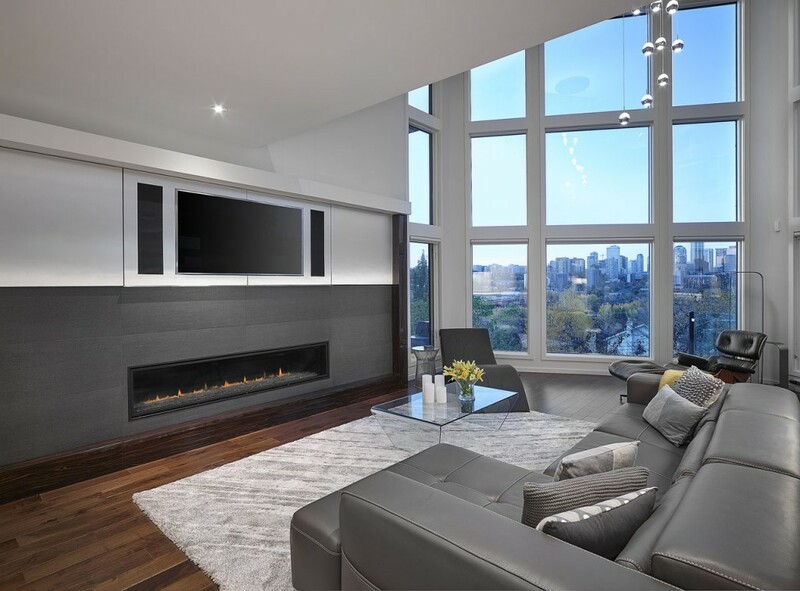 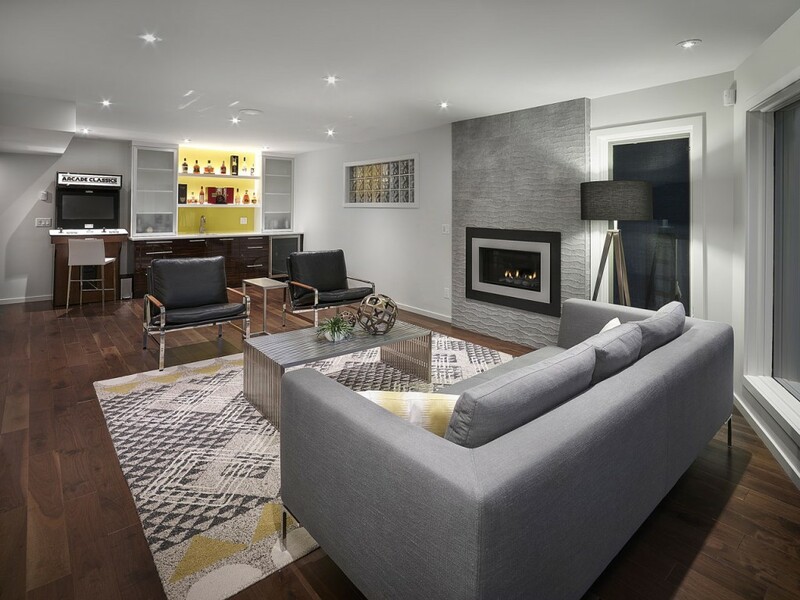 Those considerations included centering the kitchen on the main floor space, incorporating a wet bar in the sitting room on the upper basement level, as well as rooftop access through the loft with a second wet bar before leading to the outdoors where a cozy fireplace and pergola await.